INDUSTRY.co.id - Jakarta - Indonesia hopes palm oil market in India and China will boost exports by the end of this year. Based on data from GAPKI, exports in September fell 7.5% to 2.76 million ton compared to August at 2.98 million ton. Secretary General of GAPKI, Togar Sitanggang said the palm oil market is still continuing to wriggle due to lack of supply from other vegetable oils in the global market. India and China are continuing to replenish stocks of edible vegetable oils in their dwindling nations despite a fall in demand from China and India at 17.5% and 17% respectively. 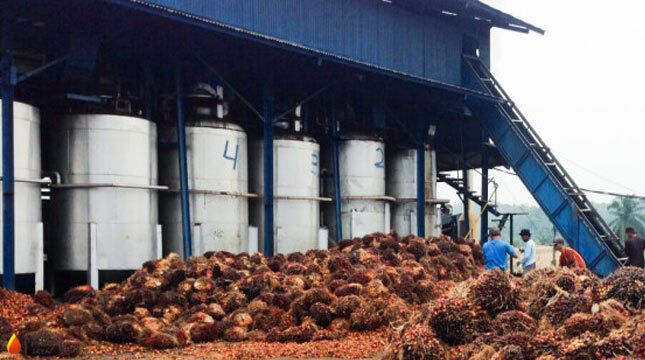 "The import volume of the two main export destinations of palm oil in Indonesia is still high, each of which recorded demand in this September at 370.47 thousand tons and 650.75 thousand tons," said Togar. On the other hand, some of Indonesia's palm oil export destinations recorded an increase in demand in September which was quite high, namely the Middle East countries rose by 26%, and Pakistan rose 9%. While in the EU countries only posted a rise in demand this September by 1%. Meanwhile, the production of palm oil Indonesia (CPO and PKO) throughout September 2017 penetrates 4 million tons. This figure is the highest production figure during 2017 and this increase in production is an annual harvest cycle.